Contact Alittlebitiffy Animal Sanctuary at Alittlebitiffy Animal Rescue to express your interest. 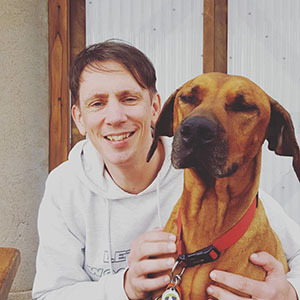 Another successful adoption - amazing work Alittlebitiffy Animal Rescue! 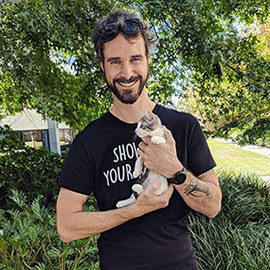 More successful adoptions - amazing work Alittlebitiffy Animal Rescue! George, also affectionately called Boss, is a very dominant, 'I must be in charge' kind of pig. At approximately 2-3 years of age, George is large, proud, and ready to strut his stuff 24/7!. He's loud, happy and energetic, but despite his independent personality George can be nervous of loud noises and rapid movements, but he still enjoys seeing you go about your day. He deserves a calm and quiet home, with his cage preferably set up in an area where he can watch you while still avoiding loud noises such as the TV or kitchen appliances. George and Sarge are available for adoption as a pair to a non-breeding, quiet, indoor home with no or older children, with supervised time in a secure outdoors enclosure when the weather permits. A minimum floor space of 10.5 square feet (a 2x4 C&C cage) is required, though the more space you can provide the better it is for play and exercise. Their diet should consist of high quality grass hay available to them 24/7 for unlimited grazing, 1/8th of a cup of high quality pellets (such as Vetafarm or Oxbow) per pig, per day, and one cup of fresh vegetables per pig, per day. Please avoid mixes containing seeds and "coloured bits", which are incredibly unhealthy and can be a choking hazard. Do not feed any meat or dairy products, these can be fatal to guinea pigs. A list of safe fruits and vegetables can be found at www.happycavy.com. The pair will take some time to trust new people, and until then they'll be a little shy and timid at their new home. Their new family must be gentle, patient and understanding of their needs. 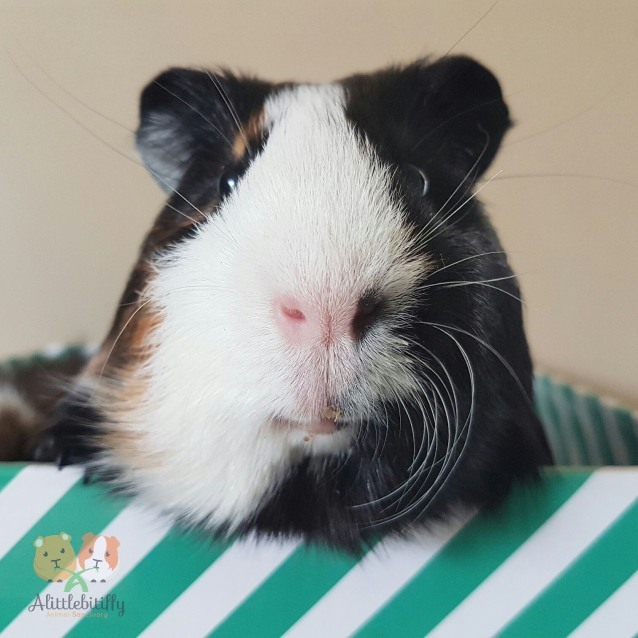 Are you interested in adopting a guinea pig? Here are a few things to think about before bringing a new pet home. 01. Do I have permission to have guinea pigs at my residence? 02. Can I afford veterinary care if needed? 03. Do I have time to feed, clean, and spend time with my guinea pig? 04. Do I understand their dietary, housing, social and care needs? 05. Can I commit to caring for them for their entire life expectancy? Guinea pigs are highly social animals. Our guinea pigs are only available in pairs or trios unless otherwise stated or unless there are special circumstances. To begin the adoption process, please complete the adoption enquiry form available on our website at www.alittlebitiffyanimalsanctuary.com. Once the form is completed and submitted, a Sanctuary member will assess its suitability. If you already have guinea pigs, a meet and greet with the Sanctuary guinea pigs you wish to adopt is a must. This usually also coincides with a house and enclosure check and a face-to-face interview to discuss the level of care you'll provide. Following a signing of the adoption contract by the adopter and a Sanctuary member, and payment of the adoption fee in full, our guinea pigs are ready to go to their new home! 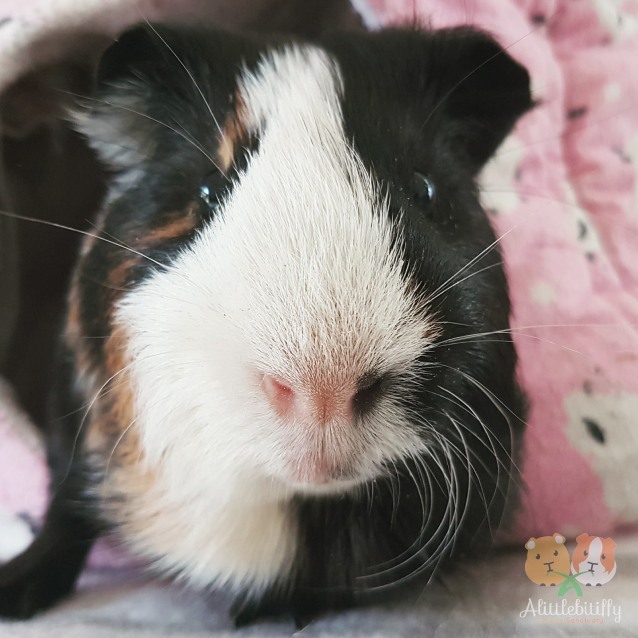 If, at any point in time, you can no longer care for or keep your adopted guinea pigs, we ask that you first contact us prior to personally attempting to rehome them.